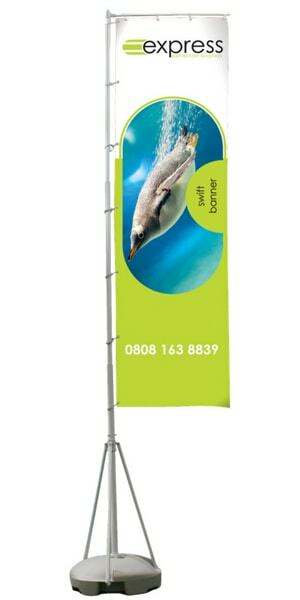 This extra-large outdoor flag with telescopic pole is a weather-proof wonder for your outdoor events. Big on style and with a stylish eyeleted graphic, it will make a massive impact for your brand. The lightweight plastic base can be filled with water for extra stability.